Spinoff season: Who will survive? Will Ravenswood be a hit, or will it ruin PLL forever? Photo from ABC Family. 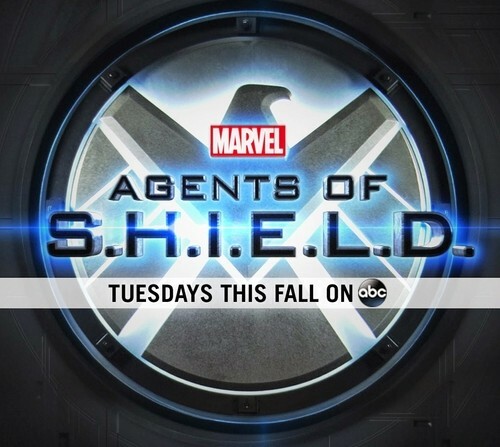 This fall TV season, we’ve officially reached spinoff overload. Though most of these series already have a fanbase (hard part over, right? ), it’s hard to say how they’ll fair in the trenches of prime-time television. Spinoffs typically go one of two ways: 1) They succeed, following in the footsteps of shows like “Frasier,” the beloved 11-season spinoff of “Cheers,” or 2) They (most likely) suffer through cancellation. Who can forget “Joey,” the more-than-disappointing “Friends” spinoff. Fanboys rejoice! Whedon… Marvel… This is pretty much a nerd overload. Photo from Movie Web. Our Verdict: Come on, Joss Whedon? This one’s a “Frasier” for sure. For those of us whose TV preferences coincide with the interests of tweenage girls, ABC Family’s got you covered. “Ravenswood“ follows yet another group of “teenagers” as they embark on a journey to uncover the mysteries surrounding their ever so dramatic lives. The show will focus on the strange interactions and newly revealed secrets of “Pretty Little Liars” fan-favorite Caleb, after he moves to Ravenswood to be with his “kindred soul,” Miranda (um, what about Hanna???). Naturally, he quickly begins to re-think his new digs. Although the show may not have the best writing or the most convincing actors, it definitely has one thing going for it: fans. Shows like “Ravenswood” and “Pretty Little Liars” can get people (and their reluctant significant others) hooked right from the start, soap-opera style. ABC Fam strategically scheduled the new show to air right after PLL on Tuesday nights, so for many viewers, “Ravenswood” will simply become an extension of PLL. It’s going to make for one hell of a Tuesday night. 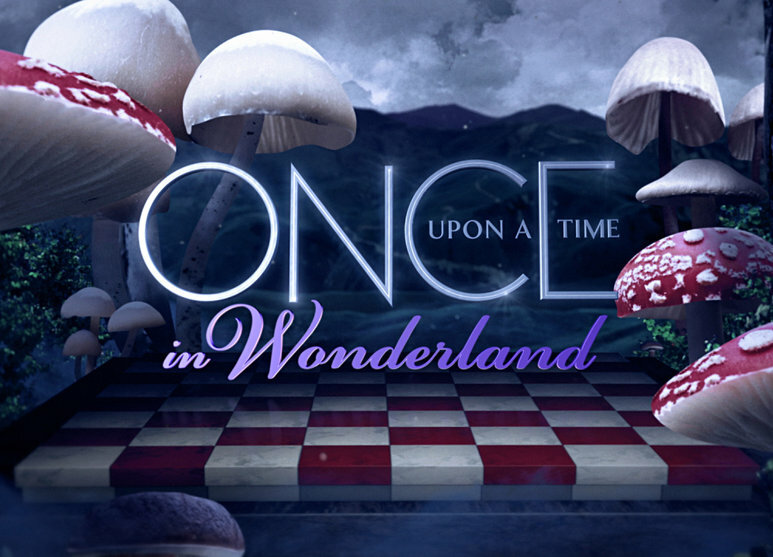 A mash up of “Alice in Wonderland” and “Aladdin,” the show follows Alice, a girl who claims to have been to a strange new world on the other side of a rabbit hole. Everyone in town thinks Alice is crazy (who can blame them?) until the Knave of Hearts and the White Rabbit come to take her back. What’s most interesting about this show is the casting for the voice actors. For example, John Lithgow (“Dexter,” “HIMYM,”) plays the White Rabbit, and punk rock hero, Iggy Pop, will voice the hookah-smoking caterpillar. Is it just us, or is the casting for this show so bizarre that it might just work? Saul’s about to be getting a lot of calls. (Aren’t we hilarious?) Photo from io9. As “Breaking Bad,” one of the most successful and groundbreaking shows in recent history, comes to a close, it seemed inevitable that the producers would find another way to bank on the show’s popularity. Enter “Better Call Saul,” a prequel that follows fan-favorite Saul Goodman, Walt’s half-shady, half-genius lawyer. 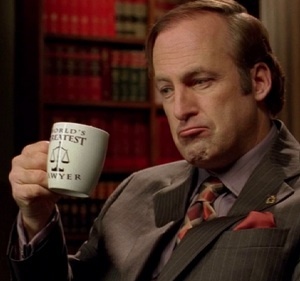 Though we don’t have a ton of details yet, the show will follow Saul’s journey to becoming the sleazy lawyer we know and love today. Backed by Vince Gilligan, the brilliant mind behind “Breaking Bad,” and the show’s likely more comedic tone, “Better Call Saul” has a very high success rate. Fans will surely be looking for something to fill the Walt-shaped-hole in their hearts. This might not have nearly as much meth, but we don’t think they’ll be disappointed. The Verdict: “Frasier,” big time. Sup, Dad! How cool is it to see Corey all grown up? Photo from TV Line. Corey and Topanga, the main characters of “Boy Meets World,” will be in the show, but the main focus will be on their daughter, Riley. The story follows Riley and her best friend Maya, as they go through those “unforgettable” middle school years. They do have one small problem, though: Riley’s dad is the new history teacher at their middle school. Anyone else thinking what we’re thinking? FEENY! 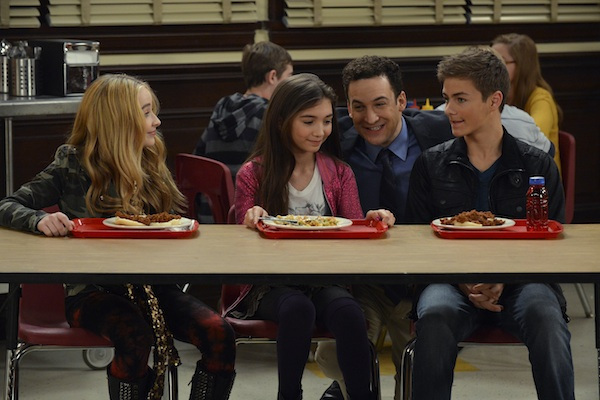 Although “Girl Meets World” seems like a great idea, we have some doubts. This spinoff looks like less of a “Boy Meets World” spinoff, and more of a Disney Channel creation similar to “Hannah Montana” and “Good Luck Charlie.” Groan. Kids may enjoy it, but the “Boy Meets World” references will be lost on them. Oh, and did we mention that in the spinoff, Topanga runs an after school hang out that sells pudding? Yeah, you read right: Pudding. The Verdict: “Joey.” And we’re really depressed about it. Looking forward to any of these spin-offs? Or are you a die-hard fan of the originals? Let us know us in the comments, and don’t forget to tweet at us @Speakeasymag!